Agathe Max is a French musician based in Lyon. 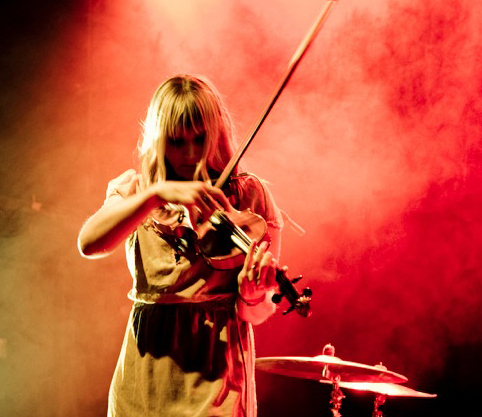 She mostly performs as a solo violin act, enhanced with various loops, distortions and other effects. She has been very much on tour in the last few years sharing gigs with important international acts such as Carla Bozulich, Jonathan Kane, Rhys Chattam, David Daniell and Melt Banana. Her music is either composed or improvised, depending of the shape of the project. In addition to her musical career, Agathe Max is also a visual artist, a jeweller and an activist in the musical and artistic community in Lyon.